. Campbell R M, Anderson B D, Brooks N A, et al. 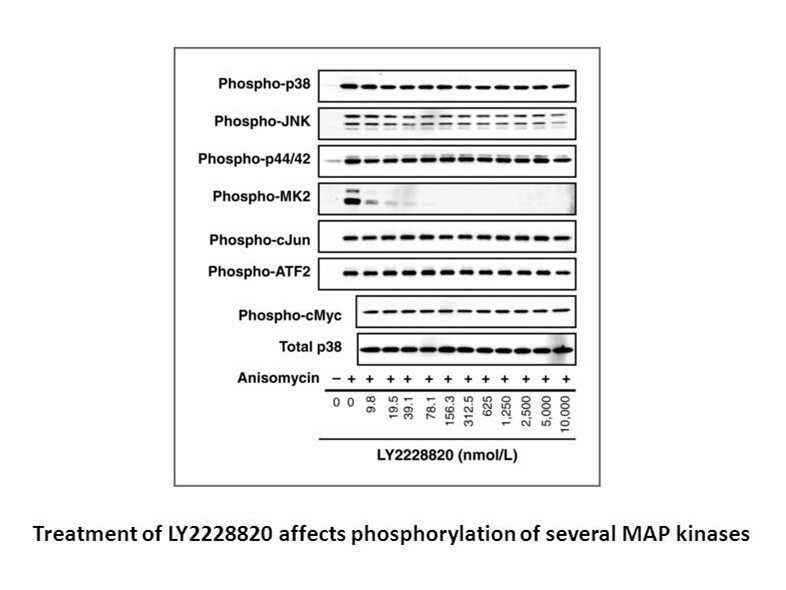 Characterization of LY2228820 dimesylate, a potent and selective inhibitor of p38 MAPK with antitumor activity[J]. 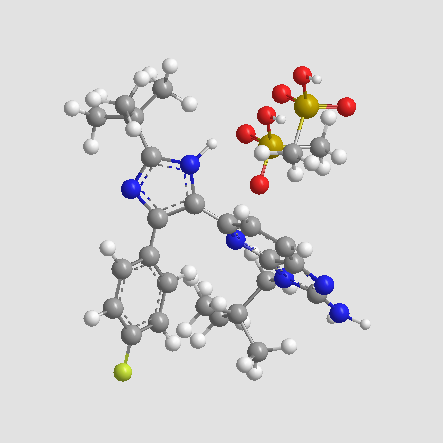 Molecular cancer therapeutics, 2014, 13(2): 364-374.
. Tate C M, Blosser W, Wyss L, et al. 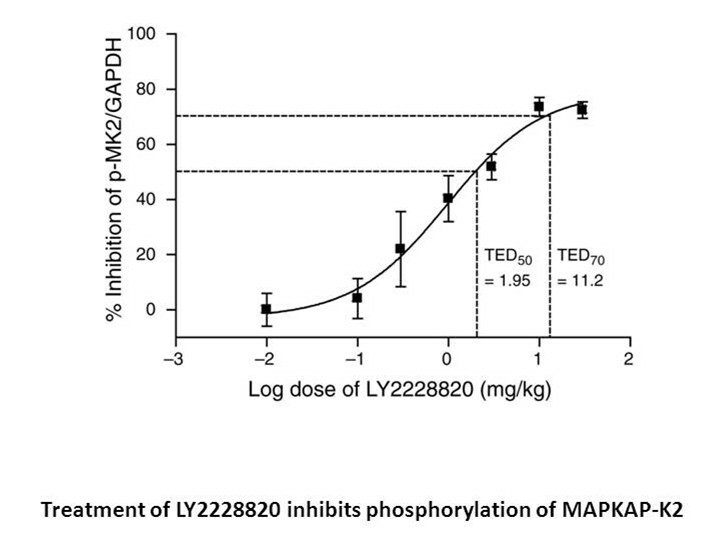 LY2228820 dimesylate, a selective inhibitor of p38 mitogen-activated protein kinase, reduces angiogenic endothelial cord formation in vitro and in vivo[J]. 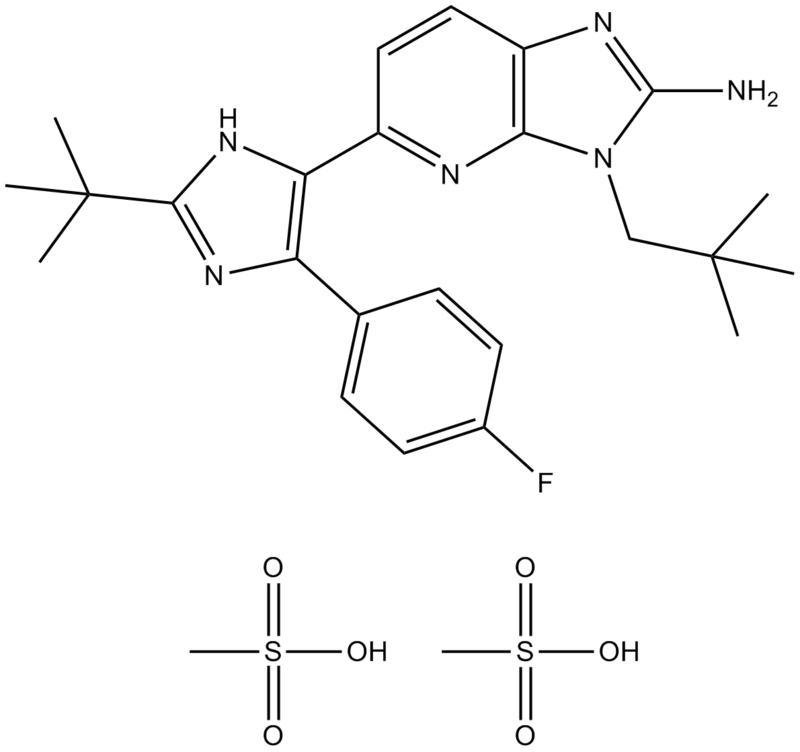 Journal of Biological Chemistry, 2013, 288(9): 6743-6753. 1. Campbell RM1, Anderson BD, Brooks NA, Brooks HB, Chan EM, De Dios A, Gilmour R, Graff JR, Jambrina E, Mader M, McCann D, Na S, Parsons SH, Pratt SE, Shih C, Stancato LF, Starling JJ, Tate C, Velasco JA, Wang Y, Ye XS.Characterization of LY2228820 dimesylate, a potent and selective inhibitor of p38 MAPK with antitumor activity. Mol Cancer Ther. 2014 Feb;13(2):364-74. 2. Ishitsuka K1, Hideshima T, Neri P, Vallet S, Shiraishi N, Okawa Y, Shen Z, Raje N, Kiziltepe T, Ocio EM, Chauhan D, Tassone P, Munshi N, Campbell RM, Dios AD, Shih C, Starling JJ, Tamura K, Anderson KC. 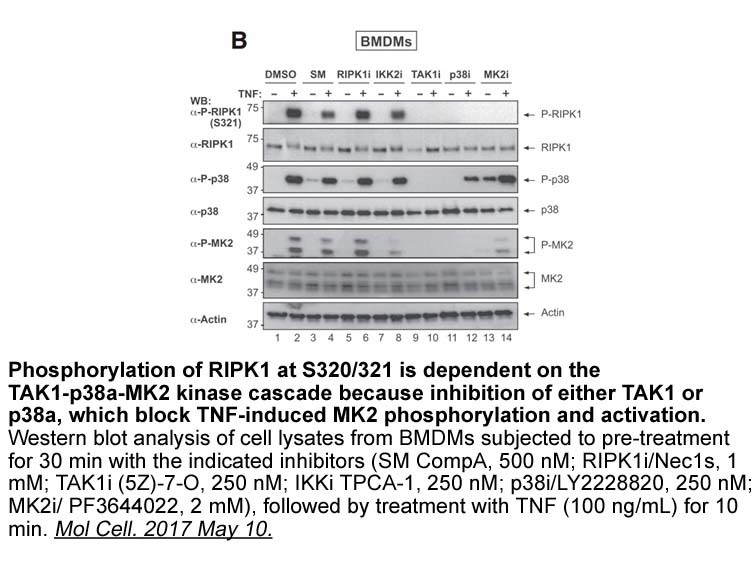 p38 mitogen-activated protein kinase inhibitor LY2228820 enhances bortezomib-induced cytotoxicity and inhibits osteoclastogenesis in multiple myeloma; therapeutic implications. Br J Haematol. 2008 May;141(5):598-606.